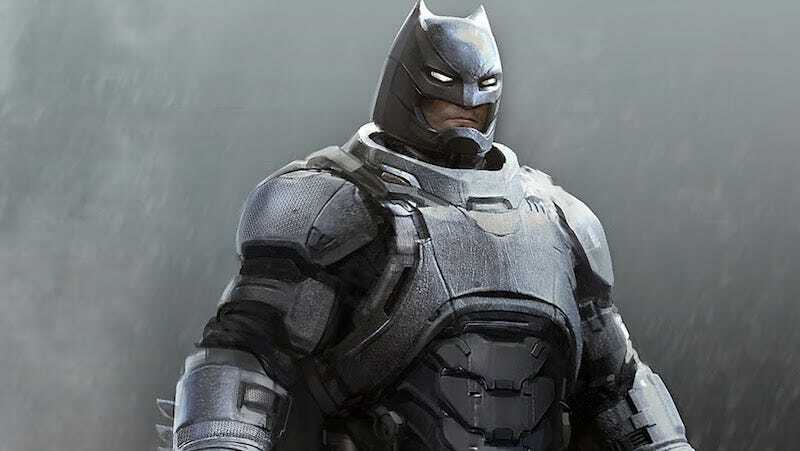 Over the weekend, artist Jerad Merantz put some concept art up on his website of the super-armored batsuit used in Batman v. Superman for the titular battle. Along with two full suits, there’s also a close-up of an arm. But, mainly, the images create a) a sense of concern over Bruce Wayne’s neck and b) a desire to have this in plush form so you can squeeze him.